Congrats Renie… good to see that you folks are going great and wish much more exposure to bring many more bloggers come under one place! Wish you guys lots of success! Cool show!! Watched it just now. And glad to know that i share the same indirank with the owner 😛 Congrats on being featured in NDTV, as all others have said n the interviews n shot’s were cool!! 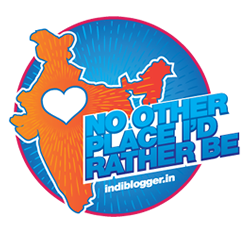 And Nice site too..
Congrats on the achievements and good luck for the future of IndiBlogger. Good presentation of Indibloggers.in. Doing a great service for bloggers to come on a single platform. Keep it up. Hey Renie. Congratulations! And could I get your Email ID or something. Need to contact you about something. Good platform for bloggers keep up the good work guys…. Great achievement! Nice to see them on this show. Congratulation to IndiBlogger. Thats really very impressive renie..
Hey…wow..congratulations Renie…wish you all the best for future…God bless….wish you guys a lot of success. Ravin, it is one of the best interviews i have seen. Kudos to Indiblogger. keep up the good work and show case the talents of Indian bloggers to online world. thats a great news…..congrats for the same and wishing many more achievements…..
Congratulations to Indiblogger on being featured. Keep up the good work and may you achieve more milestones.